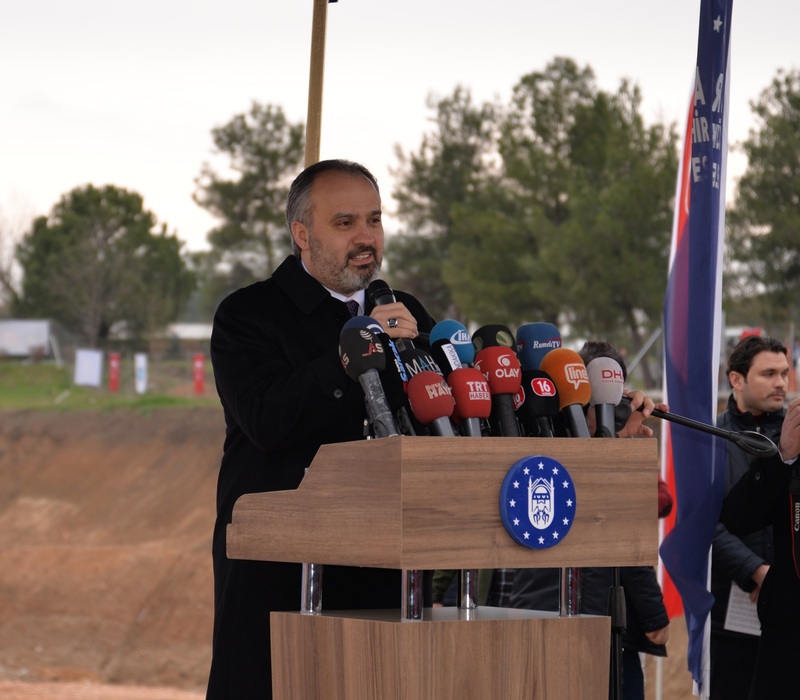 The foundation of the Uludag University New Mosque, which was demanded by President Recep Tayyip Erdogan two years ago, has just been laid. The mosque is planned to be completed within two years, and it will be the third largest in Turkey and the largest in Bursa. 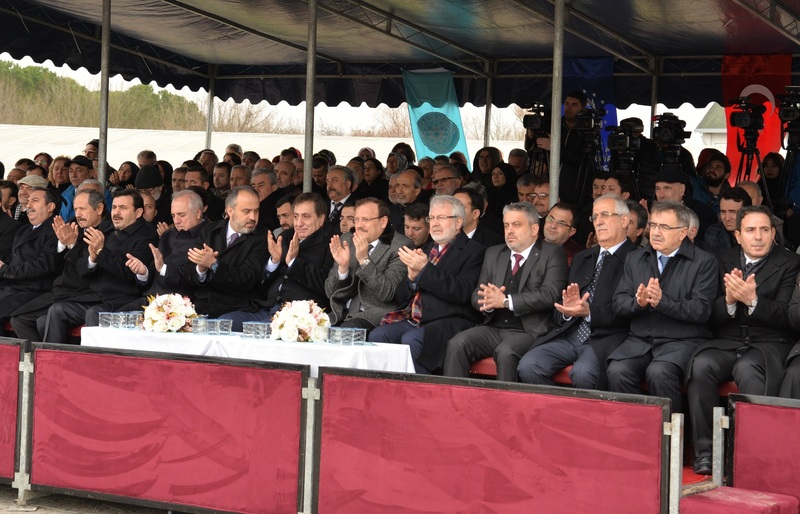 Vice Prime Minister Hakan Çavuşoğlu, Bursa Governor İzzetin Küçük, Bursa Metropolitan Mayor Alinur Aktaş, Rector Prof. Dr. Yusuf Ulcay and all Bursa protocol attended at the ceremony. 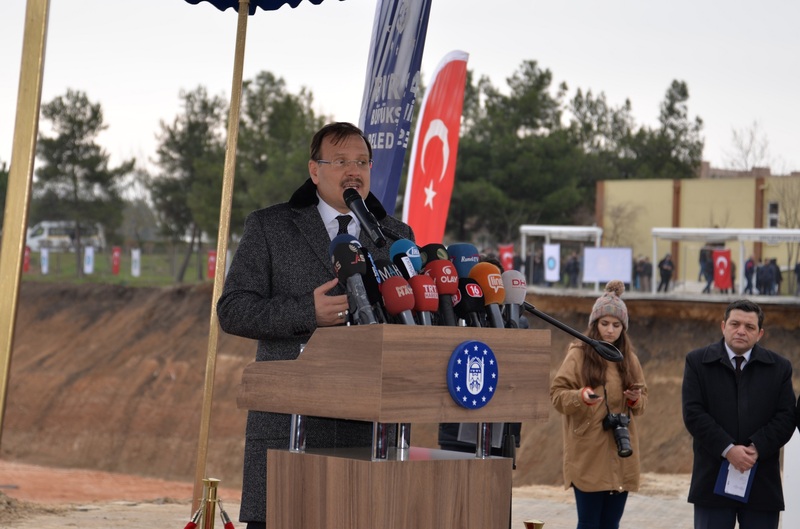 Speaking at the groundbreaking ceremony, Vice Prime Minister Hakan Çavuşoğlu said that mosques are the trademarks of Islamic cities. 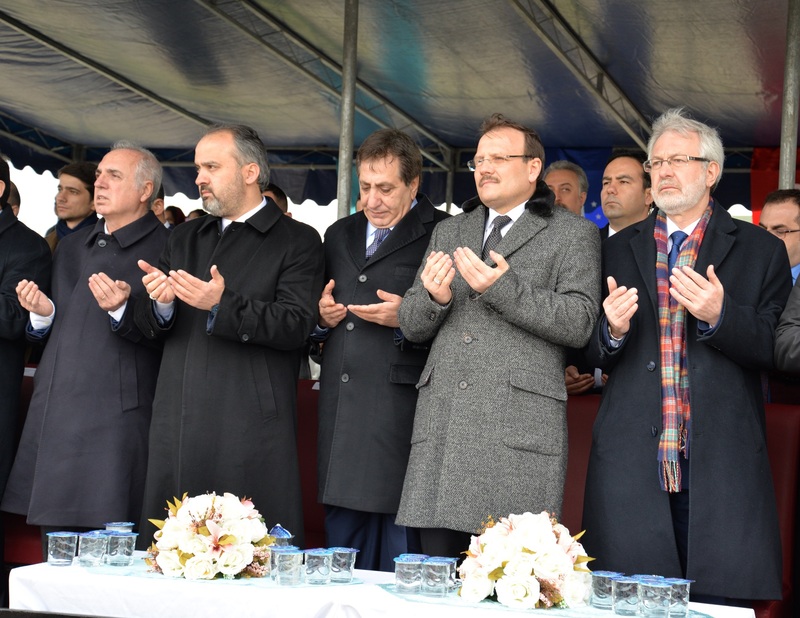 Hakan Çavuşoğlu emphasized that Bursa is a very special city because it once was a capital city, and it hosts many spiritual leaders. He said: "We would not have enough time to count the features of Bursa. It is almost like an open-air museum exhibiting all the richness of our civilization with The Grand Mosque, Emir Sultan, the Green Mosque, Murat Hüdavendigar ... and many other monuments. We, the city's administrators, continue to work with our friends to make this city even more beautiful and bring out its true qualities. " 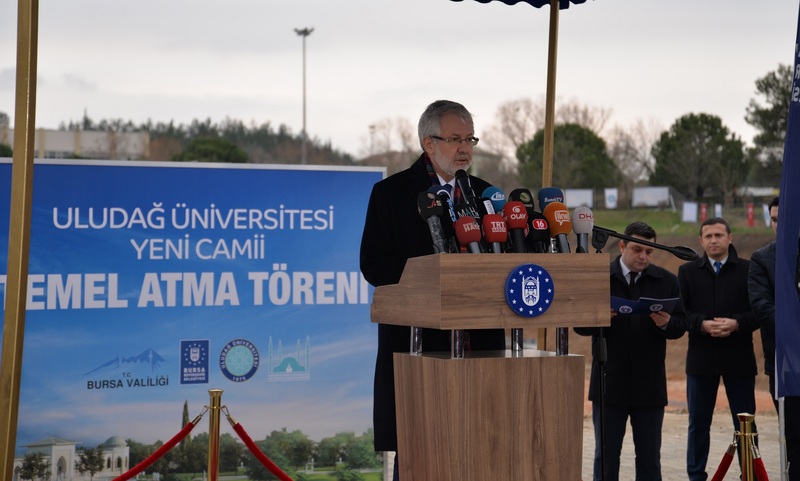 Rector Ulcay said "Our present mosque is not enough for the growing university. During Mr. President Recep Tayyip Erdoğan's visit to our university in 2015, we discussed our university-related projects and he did not say anything to any of our projects but two of them. First was the Children's Hospital. He said that it would be more appropriate for the project to be carried out together with the association with the Obstetrics and Gynecology Unit in conjunction with the Children's Hospital. Thus we changed our Pediatric Hospital proposal with the recommendation of Mr. President. 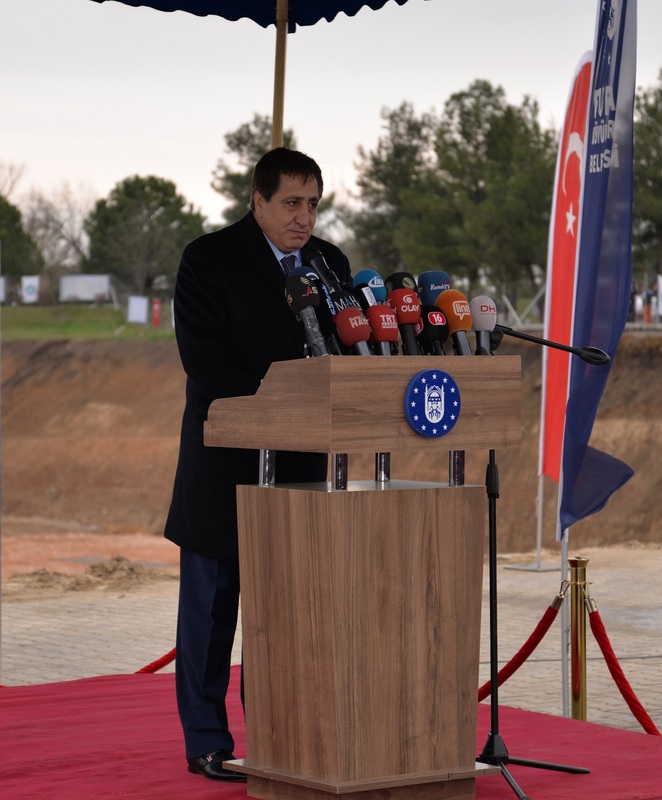 And we will have broken ground for the hospital approved by the Ministry of Development next month, which will cost 333 million liras. Secondly, when we talked about the new mosque, the projects had not been drawn yet. We talked about making a bigger mosque and prepared prototype of a mosque with two minarets. When the President saw this, he said that the minaret should be four and the mosque should be built in a way to reflect the architecture of the Seljuks, Ottomans and contemporary architecture.